Here are photos from Taimur and Inaaya's playdate, which appeared to have been presided over by Soha Ali Khan. Taimur Ali Khan went on a playdate with his favourite buddy - cousin Inaaya. The paparazzi spotted Taimur and baby Inaaya in Bandra recently - while the little nawab was accompanied by his nanny, Inaaya was escorted in the arms of mother Soha Ali Khan. Almost two-year-old Taimur was adorable in a pink shirt and denims while Inaaya was cute as a button in white baby clothes. Both Taimur and Inaaya, who are gradually getting accustomed to the ways of being a star baby, were photographed sporting quizzical expressions as they caught the attention of the paparazzi waiting outside the Bandra building. How adorable is baby Inaaya? Taimur and Inaaya recently touched down in Mumbai from a family vacation Maldives. Saif Ali Khan and Kareena Kapoor had a fabulous fam-jam with Soha Ali Khan and Kunal Kemmu in the beach location. With Kareena and Saif absent from social media, Soha and Kunal had taken up the duty to update fans and followers on social media. Envy-inducing pictures from the stars' family vacation took over social media by storm. Earlier this week, Saif and Kareena flew into Mumbai with Taimur and sent the airport paparazzi in a tizzy. Saif Ali Khan with Kareena Kapoor and Taimur at the airport. Baby Inaaya is just nine months younger to cousin Taimur and was born in September last year while Kareena and Saif welcomed Taimur in December 2016. Taimur will celebrate his second birthday in December this year. 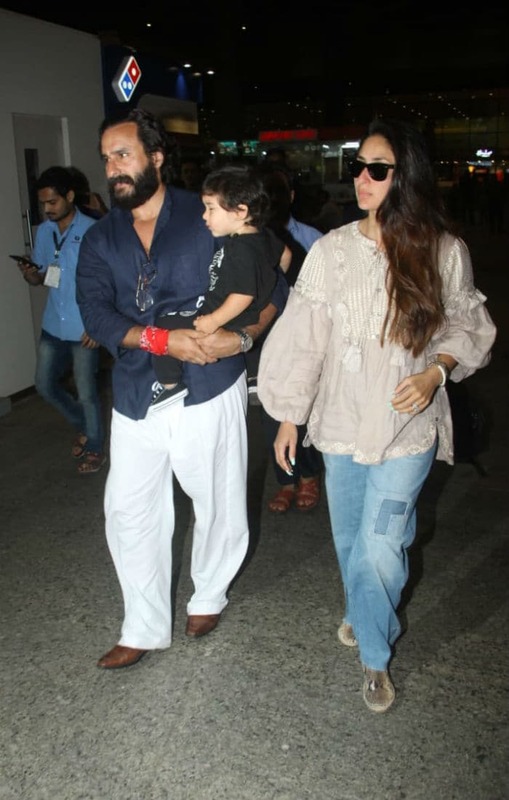 Taimur and Inaaya, along with the two set of parents - Kareena Kapoor and Saif Ali Khan and Soha Ali Khan and Kunal Kemmu respectively, are also often catch up for fam-jams in Mumbai.